The Salar de Uyuni (Uyuni salt flat) is a world-renowned salt flat or salt pan, the largest of its kind, located in the highlands of Bolivia near the Chilean border. It's mainly known for its vast, hallucinogenic vistas, which dazzle thousands of visitors per year. A hot destination among nature admirers, geology buffs, and travel photographers looking for that million-dollar shot, this place showcases Mother Earth's true capabilities and is certainly worth a quick stopover on my next jaunt to South America. 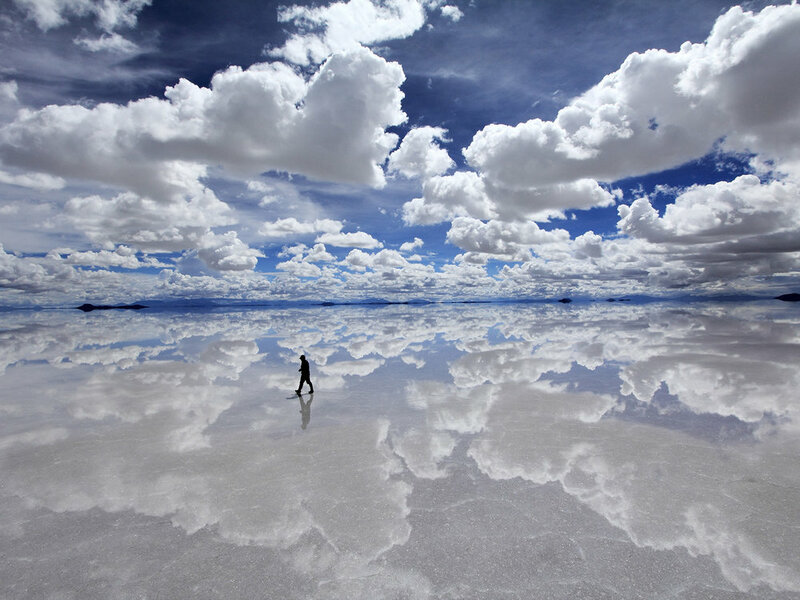 The Salar de Uyuni is over 10,000 sq km in size, with most tours spending an entire day here. 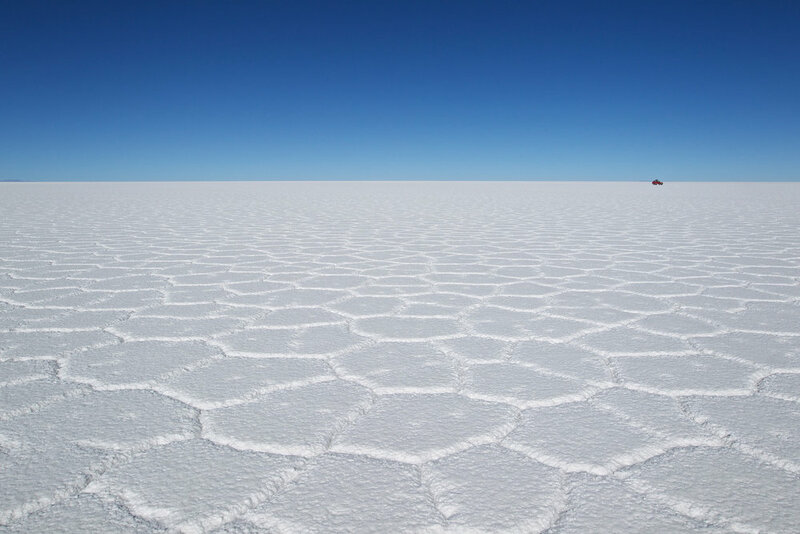 The number one reason to visit this place is of course the unique landscape: a sweeping expanse of white salt stretching as far as the eye can see. When I first heard about this place, I had trouble believing it was a natural formation. Nature just doesn't do order, I thought, at least not in such an obvious way. The way the salt sprawls outwards with such perfect flatness – hence the name, I suppose – you hardly ever see such uniformity in nature's work. But indeed, formation of the world's largest salt flat began naturally in prehistoric times, around 40,000 years ago. A series of lake transformations had taken place in the area, culminating in the creation of Lake Coipasa between 11,500 and 13,400 years ago. 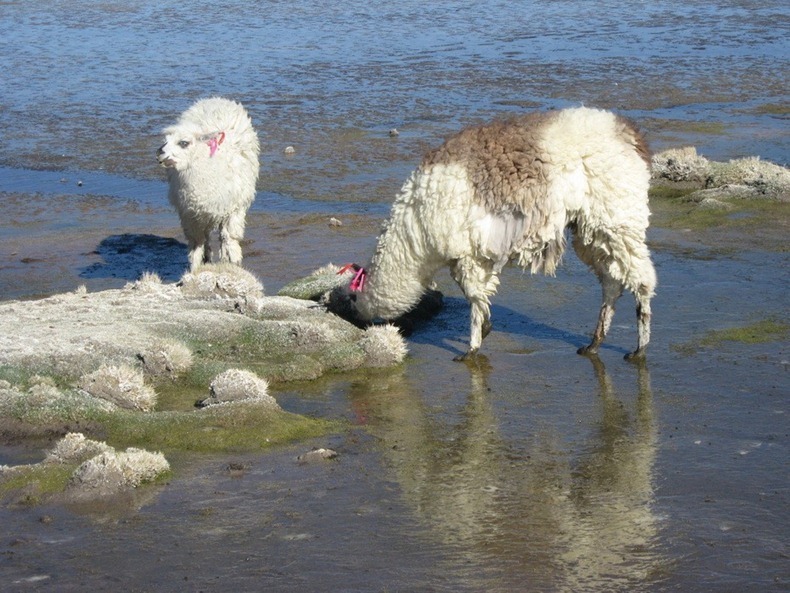 When Lake Coipasa eventually dried, Salar de Uyuni was left behind. The panoramas during the dry season are incredible, but if you're lucky enough to catch a little bit of rainfall during your visit, you'll find a real sensual spectacle on your hands. 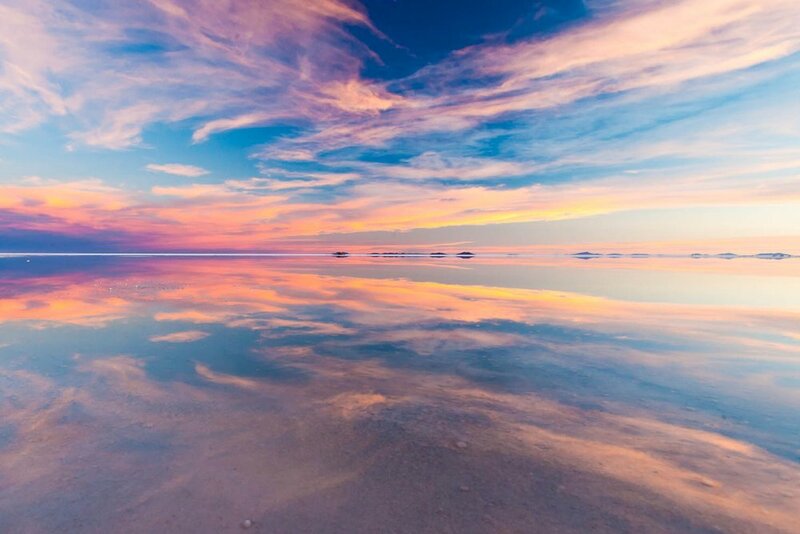 With such extraordinary flatness, the Salar de Uyuni spreads out the tiniest rainfall evenly across its surfaces, resulting in an otherworldly, mirror-like "salt lake" that perfectly reflects the world above it. Just imagine catching a sunrise or sunset on a day like this. The salt flat itself of course runs the show, but there's quite a few points of interest in and around the area as well, which would be included in any guided tour. For me, the most intriguing is Isla Incahuasi, an "island" sitting smack dab in the middle of the salt flat. Remember those prehistoric lakes from millennia past? Incahuasi was a volcano sitting submerged in those lakes, and when they dried up and the salt flat emerged, the topmost portion of this volcano was left protruding, to this day, eventually becoming fossilized and coral-like. For me, an ancient volcano-top poking out of miles and miles of glimmering white salt has to be one of the most bizarre things that Mother Nature's ever conjured up. Oh, and there's an army of thousand-year-old cacti growing on the island. Go figure. Besides the giant outcrop of Incahuasi, the only other things disrupting the pristine flatness are the occasional salt piles, as well as any of the cool fauna that use the salt flat as a breeding ground in early November, such as flamingos, geese, and the rabbit-like viscachas. Another oddity, located on the shores of the salt flat, is an old train cemetery. A handful of wretched-looking steam locomotives sit in the desolate landscape, remains of the old mining industry that boomed until the 1940s, their parts slowly decaying into the sediment. It's a little spooky. A bit further afield, you’ll also find the Laguna Colorada. This lake takes on the reddish colour of the algae teeming inside it, and is a hotbed for flamingo-spotting. Visiting the Salar de Uyuni takes a little bit of work, since it’s located pretty far away from any major cities. The first step is to get to Bolivia. La Paz (LPB) is the main point of entry, with fares from North America starting in the $1,200 range. If using points, Avianca operates a flight from Washington Dulles with a stop in Bogotá, so grab this route on Aeroplan if you can find availability. Alternatively, American Airlines flies direct to La Paz from Miami, and this can be a decent use of Alaska miles, starting at just 40,000 miles for a round-trip economy ticket. Once you’re in La Paz, you can choose to fly to Uyuni (UYU) with one of two local airlines, or you can drive or catch the train or bus to take in the beautiful Bolivian highlands. If you’re doing a larger South America trip, it’s possible to arrive at both Tupiza (in southern Bolivia by the Argentine border) and San Pedro de Atacama (a town in northern Chile) and continue your journey to the salt flats from there. In Uyuni, Tupiza, or San Pedro, you’ll find several tour operators offering both day trips and 3- or 4-day tours to the salt flats. These tours are usually conducted in groups of 6-7 using 4X4 offroad vehicles. Make sure to be discerning in terms of which tours you choose, since travellers have reported issues with vehicle conditions, unfulfilled promises, and even drunk driving with certain operators. Knowing a bit of Spanish certainly helps, as does getting together with fellow travellers in the area to share tips and knowledge. If you elect to go on one of the longer tours (which will take you across the many geysers, hot springs, and colourful lakes in the area), the accommodations on your tour will be pretty basic. You won’t find any chain hotels, let alone five-star luxury, in this area. Instead, your luxuries will be in the form of heating, showers, and electricity, and you should make the most of these on the nights that you do have access. The one bright spot is that many hotels on the salt flat are "salt hotels", constructed out of salt blocks extracted from Salar de Uyuni itself. That's pretty cool. If you're looking for "Platinum benefits", just look out the window! Seemingly a cradle of nature's wackiest oddities, the Salar de Uyuni looks like it's straight out of an MDMA trip gone sideways. I can't begin to imagine what it's like to stand in the middle of this gigantic sheet of salt, taking in the perfect horizon in every direction. Whether you're here to fawn over flamingos, trek the cactus island, or just to check this one-of-a-kind wonder off your list, you're sure to have an unforgettable time.